Since I am not teaching this semester, I thought I’d take a moment to detail one of the writing projects I’ve had my classes tackle. Last August, I taught three introductory composition courses, the next semester one, and last semester three again. Essentially, this course is meant to acclimate First Year students to the expectations of college level writing. As an adjunct, there are a lot of rather bland boxes I have to tick. However, I try to craft each of my courses in such a way that, at the very least, I’m interested in talking about the material. I tend to use a lot of online articles covering topic like gaming, comics, literature, television, films, indie music, and science news (especially astronomy and geology). I try to approach teaching composition from the perspective of achieving a level of casualness with reading and writing. The more one reads, the more one writes; the better one reads, the better one writes. And vice versa. Thus, my students kinda hate me, because I assign work every class prompting them to read and write every day. However, I do try to make my lectures as engaging as possible. At the very least, these eighteen- and nineteen-year-old First Years get to watch a childfree, casually profane GenXer ramble on with a monotone satire that mimics John Oliver and a patience that the character Toby Zeigler would applaud. But for this Synthesis Essay, the Nerdwriter video-essay is the first primary source. Next, I give the students several different translations of Plato’s The Allegory of the Cave. We read and discuss each version so we have a full understanding of the story being told. I make it a point to lecture on metaphor here so that students understand that Plato writes his Socrates in rich, figurative language. Because allegory is an extended metaphor, I explain, our job is to figure out just what is being represented, why, and how that affects our understanding of meaning. What is like the cave in our world? How is the way you understand the world (your ideas and beliefs) shaped by the actions of others? Who has the power to shape your ideas and beliefs? In what ways is this a positive or a negative? Are there things you know to be true? What are they, and how do you know them? Describe an experience you have had in which something that looked true turned out to be false or looked false turned out to be true. How is it possible that people can believe in illusion and accept it as reality? What I attempt to do in class through lecture and small group assignments is have students start to see what connections or overlaps exist between the Nerdwriter video-essay and Plato. 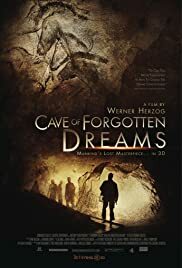 Once we have those observations hashed out and responses written, we move into the final primary source, Werner Herzog’s documentary The Cave of Forgotten Dreams. I purchased this film through YouTube so that I could play it in class for my students. I divide it up into 30 minute chunks so we can discuss it as we watch. I also give them links to watch the film in its entirety on their own. Once we’ve discussed it and I’m satisfied most have seen the film, they have another 500 word minimum response guided by one simple question: How can we relate Werner Herzog’s documentary to what we’ve read and discussed about Plato’s Allegory of the Cave? Usually, this process of watching the videos, reading, discussing, and writing takes between 3-4 weeks. My classes met for fifty minutes four times a week, so we were able to have a certain continuity allowing this project to stay in focus. I explain to students their Synthesis Essay will use these three primary sources as they write a paper identifying shared ideas, explaining how the ideas connect between works as well as change, and, finally, how combining similar or disparate ideas in each can lead a reader to a new or different perspective. I explain that these three primary texts are meant as starting points for their own research encouraging them to explore the ideas and notions to find other texts to support their assertions. Students can also use the responses they have already written as part of their essay, so if all goes to plan each student will have at least a thousand words towards their first draft. My requirements for the first draft are simple: a minimum of six in-text citations and a minimum of 1500 words. Students already have the three primary sources to use so this first draft is extraordinarily simple to accomplish. When it comes to revisions, I tend to like a day or two of peer review before I meet one-on-one with students to let them know what changes and additions I would like to see them make. The second draft of their paper must have twice as many words as their first while still meeting the minimum citation requirement. 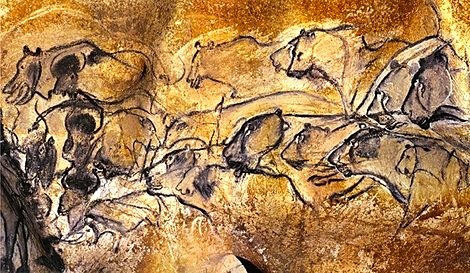 In an effort to get students more familiar with and in the habit of researching and using proper citation, this most recent semester I had them read an article from Nature about the Chauvet caves from Herzog’s documentary. Students were tasked with writing an article summary and translating the article’s citation into proper MLA format for both in-text parenthetical citation and a Works Cited. I also had them read an article via LiveScience and do the same. These assignments serve a three-fold function–practice in MLA formatting, practice in summation and detailed reading, and exposure to legitimate and useful reference material. It also covertly provided students with two more potential citations for their Synthesis Essay. Generally speaking, my students found this essay project engaging. Although many had a very difficult time understanding that a synthesis is not simply a comparison/contrast. However, that was merely a holdover from high school writing where what little writing done was excessively scripted. The key to this writing assignment is honest, detailed discussion and the documenting of that discussion. I enjoyed talking with students and reading their essays. I also think this paper coming as it does in the middle of my teaching semester does a good job of demonstrating the kind of tone and critical eye they are expected master. If you liked this article, then consider supporting me via Patreon.